Review Board supports posting and reviewing code on GitHub repositories, using public or private personal repositories or organization-owned repositories. To configure a GitHub repository, first proceed to add the repository and select GitHub from the Hosting type field. You will need to link an account on GitHub to Review Board, so that Review Board can access content from the repository. If you’ve already linked an account with sufficient access to the repository, you can use that instead. The username used to log into your GitHub account. This is not your e-mail address. The password used to log into your GitHub account. The password is not stored! Review Board will use these credentials to fetch an access token with read-only permissions to repositories. This token is stored for future use, and can be revoked on GitHub at any time. Private: The repository is owned by the linked user account, and is accessible only to the linked user and other GitHub users who were granted permission. Private Organization: The repository is owned by an organization, and is accessible only to the linked user and other GitHub users who were granted permission. If you’re using an organization-based plan, you will need to specify the organization name in the Organization name field. This is the same value you would find in the URL. For example, if your repository was https://github.com/myorg/myrepo/, your organization name would be myorg. If you’re using a separate bug tracker, or a separate repository on GitHub, you can leave the checkbox unchecked and choose a bug tracker from the list. You can now choose who should have access to this repository (both posting against it and viewing review requests posted against it). This is separate from GitHub’s own access controls. If you’re using RBCommons or have a custom GitHub OAuth application for your Review Board installation, you may see an error that the repository could not be found. This can happen if your GitHub organization requires access to be granted per-app, which is the default for modern organizations. See Granting Organization Access to fix this, and then save the repository again. Review Board can close review requests automatically when pushing commits to GitHub. This is done by configuring a WebHook and pointing it to your Review Board server, and then referencing the review request in your commit message (which is done for you when using rbt land). Your Review Board server will need to be accessible over the Internet for this to work. GitHub will be performing HTTP/HTTPS requests to your server to notify Review Board of new commits. The instructions will contain a link taking you to the page on GitHub for adding a new WebHook, along with all the information you need in order to add the hook. Simply follow the instructions and you’ll be ready to go. If you’re running a large Review Board server with a lot of activity on a few particular repositories (hundreds or thousands of review requests posted per hour), you may want to register a custom GitHub OAuth app for your Review Board server. This is advanced usage and is completely optional! Most servers do not need this. You may need to redo your OAuth app settings in a future Review Board release as well. You would only want a custom app if you’re hitting errors saying you’ve gone over your GitHub API access limit for the hour. Homepage URL: Your Review Board server’s URL. Restart Review Board and then re-link any accounts being used by repositories. In order to keep your code secure, GitHub organizations are often set to require that third-party applications, like RBCommons or custom GitHub OAuth applications, have their access explicitly granted by an organization administrator. This is the case by default with newer organizations, and many older ones have this on as well. If you’ve tried to link one of your GitHub organization’s repositories to RBCommons or to a server with a custom GitHub OAuth application defined, you may have received an error message stating that the repository could not be found. This may simply mean that the server doesn’t yet have the permission to access it. In this guide, we’ll help grant access. You’ll need to check whether your organization restricts new third-party applications. Have a GitHub organization administrator navigate to your organization page (https://gthub.com/orgname) using their admin account. Click Settings and then click Third-party access on the left. From here, you’ll be able to see the current access policy and any approved applications. If Policy says Access restricted, then continue on with this guide. However, if it says No restrictions, then you don’t need to worry about this guide, and should double-check the information you entered into the repository form instead (if it gave you an error about not being able to find your repository). Keep this page handy. You’ll need to come back to it. Make sure you’re logged in as the user whose account was linked to Review Board when configuring the repository. 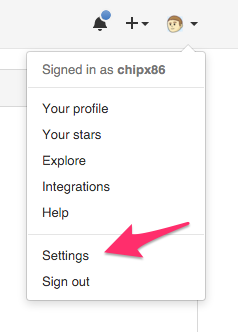 Go to your settings page (click your avatar in the top-right of any page on GitHub, and then click Settings). Then click Applications on the left. “RBCommons” (or the name of your custom application) should appear in this list under Authorized Applications. Click on it. From here, you’ll see a list of organizations you belong to that have access to your application, and any that need access to be granted. Your organization should appear in this list along with a button for requesting or granting access. Click Grant access from here. You’re done! Go back and save your repository again, and you should be all set up. Click Request access and follow the instructions. You’ll then need to continue with step 3. If you clicked Request access above, you’ll now need an organization admin to approve it (by clicking Grant Access above). The administrator from Step 1 should reload the page they were on in that step. RBCommons (or your custom application) should now be in the list. Simply approve the application from there, and you should be good to go. Then, simply save the repository again. You’re done!